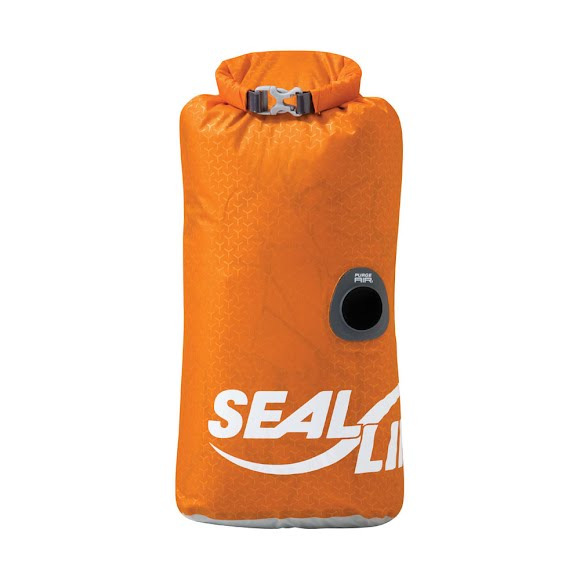 Featuring a waterproof valve that purges trapped air, Seal Line's versatile Blocker PurgeAir Dry Sack resists ballooning to help maximize use of space within a pack or bag. Plus, the fully waterproof construction ensures essential contents are protected. Featuring a waterproof valve that purges trapped air, Seal Line &apos;s versatile Blocker PurgeAir Dry Sack resists ballooning to help maximize use of space within a pack or bag. Plus, the fully waterproof construction ensures essential contents are protected.